I endeavour to give people who come to me for readings, an objective and invaluable insight into their lives and current concerns. 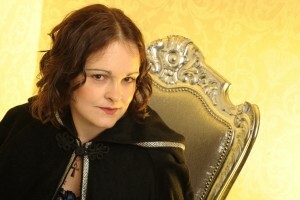 You will find me offering reassurance and guidance, as appropriate, in your Tarot reading. My style of reading is informed and perceptive. I bring my many years of experience and knowledge of other disciplines to the Tarot, aiming to provide you with a really useful and considered reading. I provide clarity: where you are and what you can do to improve your life and the lives of others around you. I believe that the Tarot enables one to access and commune with the Higher Self, which can provide a richer perspective on your life and your goals. I will always try to be gentle, but you will find me asking searching questions that will help guide you to the insight and clarity you require. I believe that it is important to give people who come to me for readings, realistic options to consider. The Tarot is, after all, a tool to help you to achieve the best possible you. However, the Tarot reading provides an overview of what is going on in your life and you will need to take positive steps thereafter, to achieve the outcomes you desire. I offer a number of reading options designed to suit you; you can receive your Tarot reading face-to-face, via video link or email. So if you would like an independent and perceptive reading of what is going on in your life, please contact me to arrange a reading.